Welcome to CheckPoint Tire & Service, proudly providing expert auto and light truck repair, and maintenance services to customers of the Chatham area. As good as it gets for auto service. Checkpoint always give us a fair price and the go above and beyond to make sure we are satisfied. Love working with Checkpoint, guys are always friendly and don't talk down to you just because your female. Love it its the only place I take my car!! 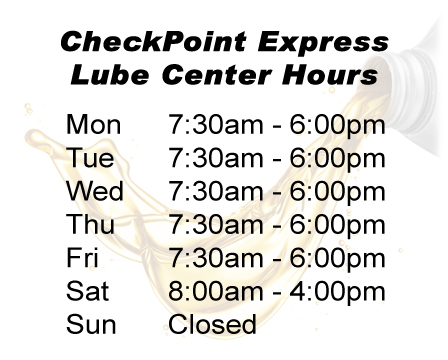 Checkpoint has always provided us with great, honest, timely service for all of our repair needs through the years. We trust them and have never been disappointed.